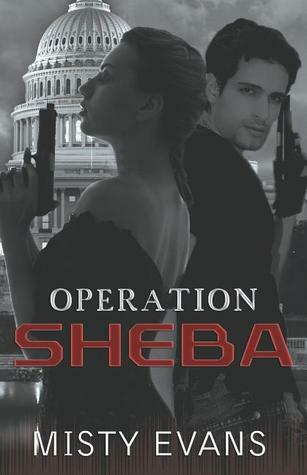 As a free read on Kindle, you'd be hard pressed to beat Operation Sheba. The story is well told, the characters sympathetic and interesting, and the plot is full of intrigue, espionage, and thrills. The pacing and plot evolution were reasonably well done, and there were really only one or two parts that I thought would've been better served by a bit of editing, as I felt they were a little too descriptive or over written, but nothing to truly bog down the narrative or the let the tension in the plot fizzle. I admit that this book is not in preferred genre of mine, and had it not been a free Kindle download, I wouldn't have read it, but I will say that it was well written and any fan of romantic spy thrillers would be very satisfied by it. If Misty Evans has any other books in different genres, I'd definitely be interested in checking them out, because I was pleased with her writing style and very much enjoyed the way she wrote the relationship between Julia and Con, and very impressed by the Machiavellian plotting and imagination that went into the development of the antagonist. And I really loved Smitty and Ace, though they were perhaps not as developed as they could've been. I had one issue that I feel important enough to mention. There are a series of POV shifts at one particular part of the book when Jules and Con are in the safehouse and Michael is...lets say "otherwise occupied" to prevent spoilers. I wish the author had chosen to go another route on that, because I found it very distracting - unable to concentrate on the warm fuzzies (or the sizzle) of the Jules and Con moments out of concern for what was going on across town. And visa verse. Perhaps had it been written with less back-and-forth it would've been more effective for me. I'm not sure. Considering the genre is not to my taste, though, I was pleasantly surprised and I was interested enough and impressed enough to finish it and like it. Hats off to Misty Evans for that.